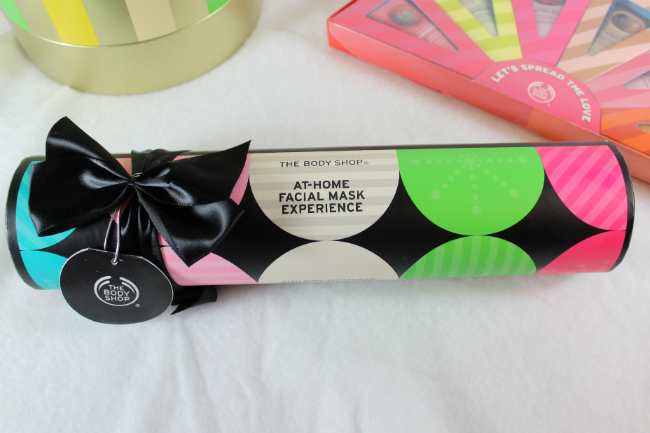 Last week I got the chance to check out my local The Body Shop location and learn all about their Holiday offerings. I was of course super excited because I adore the Body Shop and had already placed both Black Friday and Cyber Monday orders but had not gone to a store yet to see stuff in person. As a result I am showing you three gift sets from this year that I absolutely fell in love with. 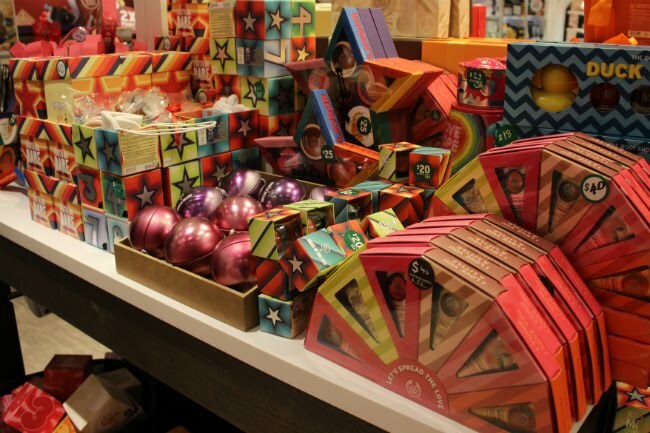 This holiday season The Body Shop has teamed up with International Alert. 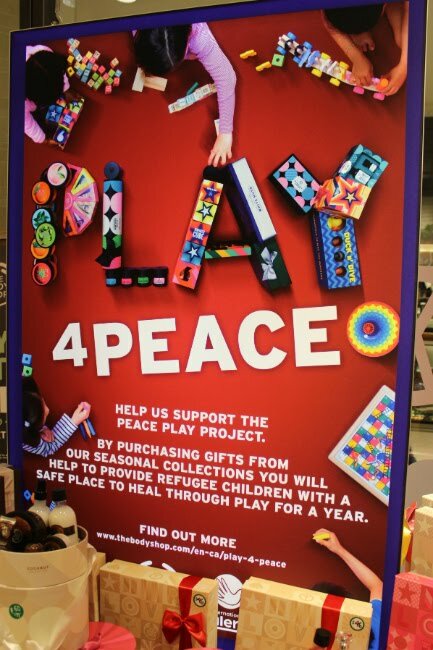 The Body Shop is supporting the Peache Play Project in Lebanon. It is a project created to help refugee children heal through play. You can learn more about it here. Many of their holiday sets come in packages that can be re-purposed into games. One is even a fun bank that looks like a robot. Which is a cute and novel way to get your own children playing a bit more this season. Seasonal scents are something I have always loved from The Body Shop, for years their cranberry or gingerbread scents were my thing. This year they have Vanilla Chai, Frosted Plum, and Frosted Berries. All smelled amazing, but the Vanilla Chai really spoke to me, more complex and warm then a straight up vanilla scent it was kind of a nice warm winter night in a fragrance for me. 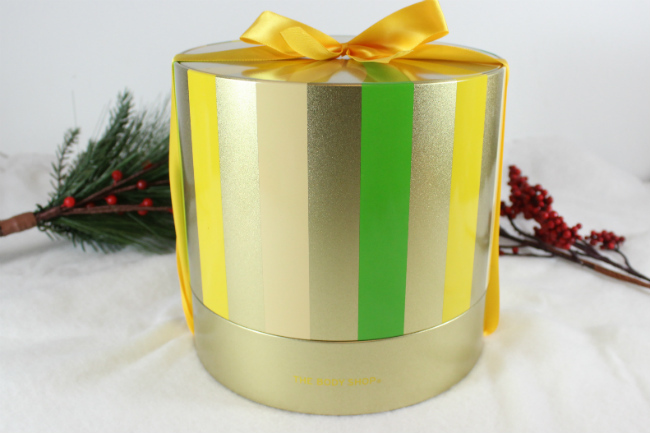 I chose to the the Tin of Delights set because it makes such a nice gift. Full sized products and a gorgeous tin, what isn't to like about getting this baby on Christmas day? You get a full size of the Shower Gel, Body Butter, Hand Cream and Bath Foam. To be 100% honest the Bath Foam is what sold me on this set. 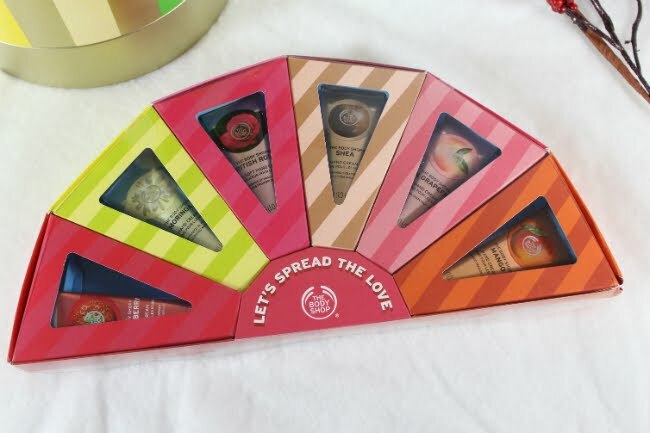 The Body Shop only makes their Bath Foam in their seasonal scents, and every year I get at least 3 to last me through the year, and this set had one...so it was coming home with me no matter what! Since this set came with a full sized body butter, I was able to make a custom label for it. I of course chose the cheeky "You're on the naughty list" with my name on it. I think it is a really cute addition to any gift, and it really only took 30 seconds to print. 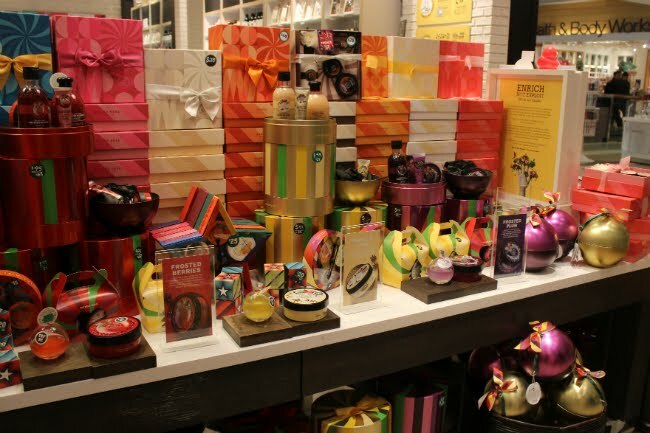 The Body Shop has quite the collection of facial products that are quite impressive. This year they have some pretty nice face sets, but their At-Home Facial Mask Experience stood out the most to me. With five best selling full size masks, this elegant tube is quite the big deal. That is right, there are 5 masks in here. You could break it up and give one to all your family or you could just give it as one big gift. Since multi masking is so big right now it makes that a breeze too. I love gifts that you can break apart and give to multiple people This hand cream set is perfect for one person who loves hand cream or for up to six people. Think of all the people you can make happy at your office with this set. 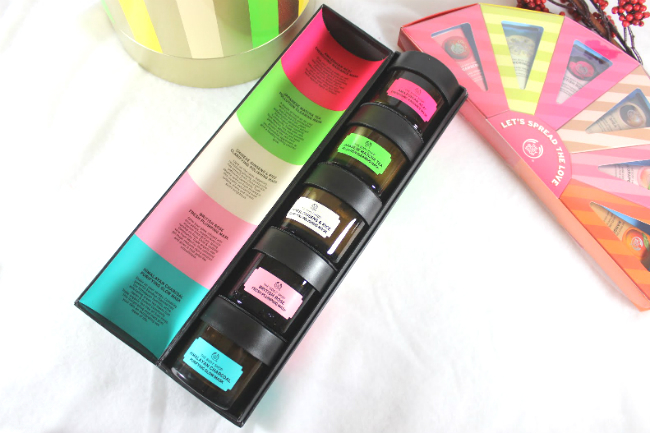 Those are my top three picks for holiday gift sets from The Body Shop this year. I really love all of their items though and already had bought myself a cute little English Rose Hand set and a Satsuma set for Mr. Fox. The rose set had a lovely tin that looks like a playing card that I know I can reuse and the satsuma set has a box with a maze on the inside. These little details plus the charity aspect help make The Body Shop a place I always shop at during this time of year. *Products were given to me for review purposes, all views and opinions are my own.